The chances are as a Mac user you do most of your browsing in Safari. It is, after all, a great browser, and the one that comes integrated into OS X, ready and waiting in the Dock to be fired up with every new Mac. It was first developed as a stripped-down alternative to the slow and bloated browsers of a decade ago. 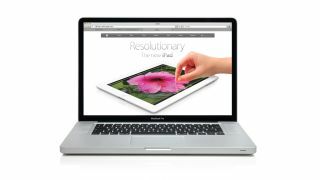 Believe it or not, Apple used to bundle internet Explorer with OS X as far as Mac OS X 10.2 but then gradually phased it out, and Safari became the system default browser with Mac OS X 10.3. There are some good reasons for using Safari: it's lightweight, quick and has hooks deep into the operating system. It's pretty great at supporting new technologies like HTML5 and can take advantage of Apple's increasingly ambitious iCloud syncing features like iCloud tabs and soon, passwords too. It has been developed over the years to support extensions and notifications and of course mobile Safari on iOS enjoys an impressively high global share of web traffic. So if all this is true, why would you consider an alternative? Part of Safari's appeal is that it is simple and uncluttered, but this also means that it lacks some of the features that other browsers can offer. Power users in particular like to customise and supercharge their browsing experience, going far beyond simple browsing to get more features and work more quickly. Developers need to check that the sites they are building will work across a range of browsers and platforms, and sometimes, despite Apple's assurances to the contrary, certain sites just work better in a browser other than Safari. The good news is that in recent years most competing browsers have upped their game considerably, and relative newcomers such as Chrome and the more venerable Firefox offer real alternatives to Safari. There are a huge number of extensions available for these browsers so you can install add-ons to do things like use proxies to view content that is otherwise unavailable in your country, or blog or tweet straight from whatever window you happen to have open. They can be heavily customised, give you advanced bookmark management, download management and RSS feeds. Many non-Apple browsers now also let you sync data between your various devices using their own systems rather than iCloud. Third-party developers such as Mozilla and Google (which makes Chrome), don't have to stick to Apple's release schedules or strategy, so they are free to add features and change things that Apple might be more reluctant to do with Safari. Indeed, Apple doesn't really change Safari very frequently at all when it comes to adding features, preferring to fix security issues and tinker under the hood, like we will see in OS X Mavericks with the new power-saving technology that should reduce the CPU impact of browsing with multiple tabs. So if you're looking for stuff that Safari doesn't do, there's a good chance that Chrome, Firefox, Opera or an alternative iOS browser may well hold the answer. Extensions are particularly useful but there's other stuff that each one does differently, plus some people just like the way a particular browser looks or feels. There's nothing to stop you using several browsers: perhaps you like to use one for work and one for leisure. Browsing using Safari on iOS is substantially more limited than it is on OS X but here still you can power things up by installing a third-party browser, some of which have really useful features not found in Safari, such as ad blocking, download and file management, data compression, Flash support, plugins and the ability to report as different browsers, which is handy for controlling the way sites are presented to you.